Oh. Does it say oh on my shoes? It sure does and that's why they are awesome! There are plenty more quirkiness where these come from too. Loly in the Sky makes the most comfortable loafers in nice colors, fun patterns, and cute sayings! I paired my black Elvira with a darling chiffon dress from OASAP. I love everything about this dress... it is light and flowy, the length is perfect, and the sheer swiss dots details is so lovely! 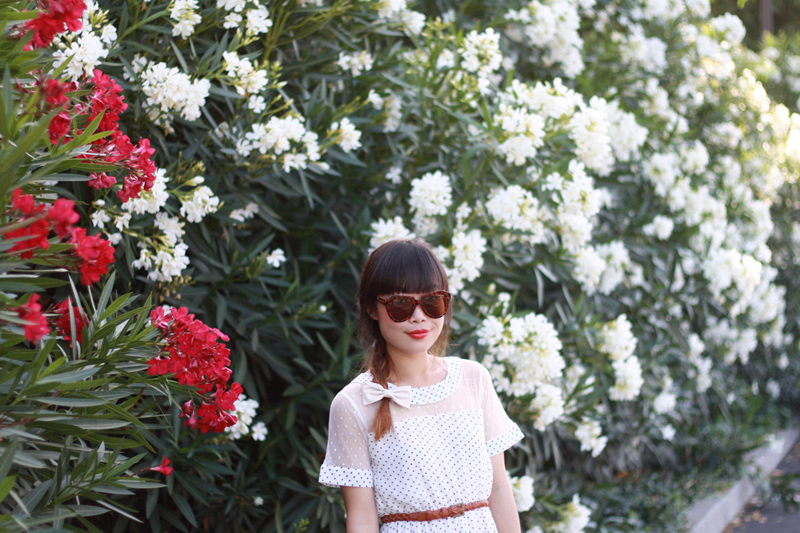 This casual yet cute outfit is perfect for a hot summer day, even better if you are standing next to some flower bushes! Swiss dots chiffon dress c/o OASAP. Elvira loafers c/o Loly in the Sky. 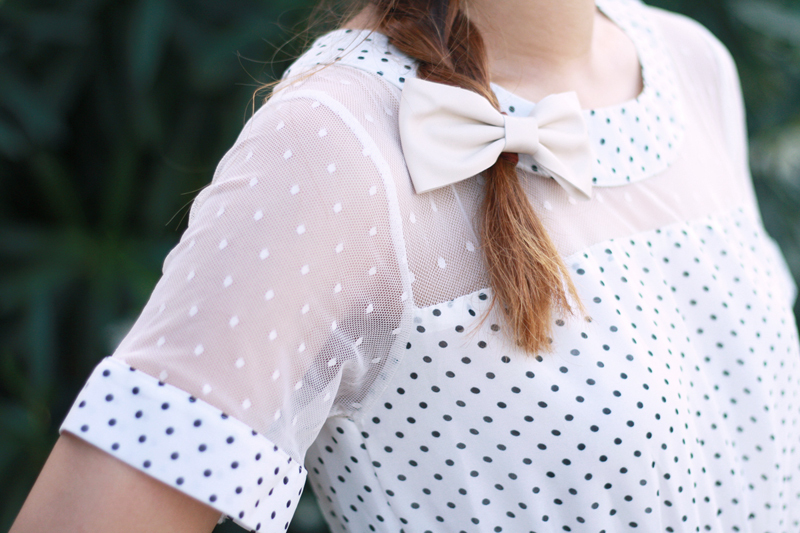 Cream leather hair bow from F21. You look adorable! Love the dress, bag, and hair bow. This is adorable! I love the shoes and this dress! Loving the vintage vibes from the look. The dress is stunning and so elegant. This double dotted dress is absolutely adorable! I love it! 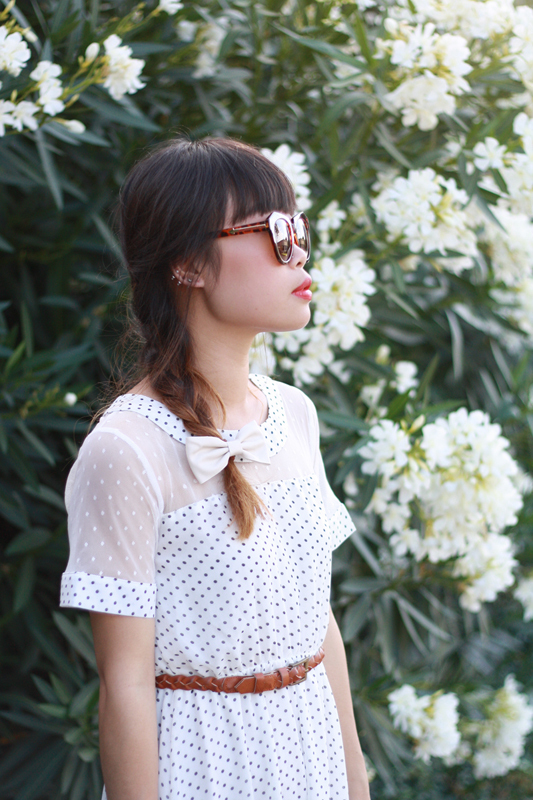 So girly and cute. Those sunglasses and loafers look wonderful with it. Cute flats and what a lovely setting! This dress is absolutely lovely! Oh, this dress is just so swoon worthy! Got to love the dots!